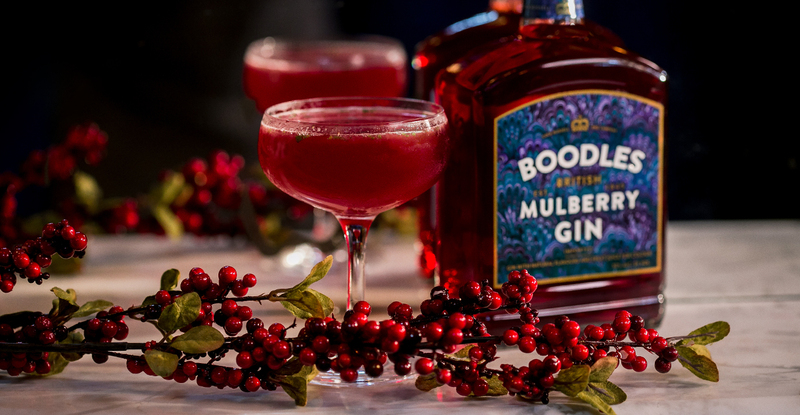 The taste combines delicate mulberries with notes of raspberry and currant to create a sweet and subtle medley. 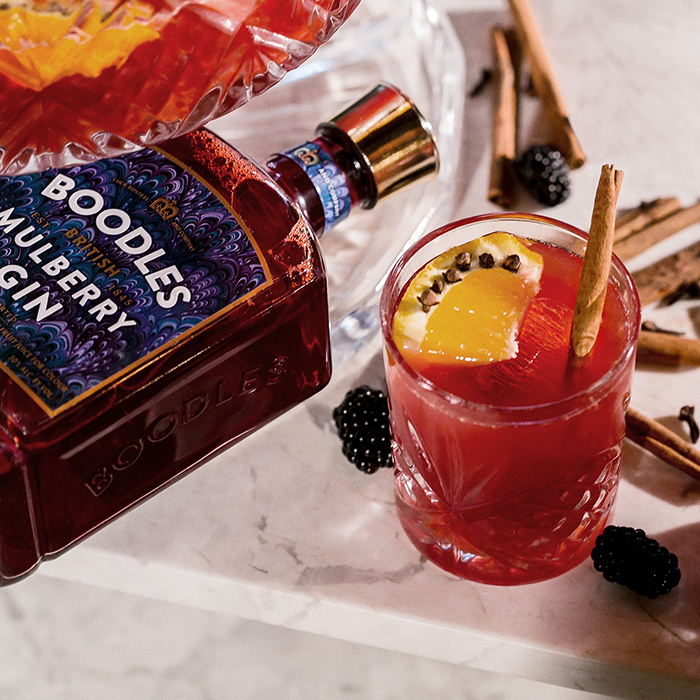 Boodles Mulberry adds the perfect complement to Boodles British Gin’s unique botanicals of rosemary, nutmeg and sage, creating the proper balance and complexity of flavour. 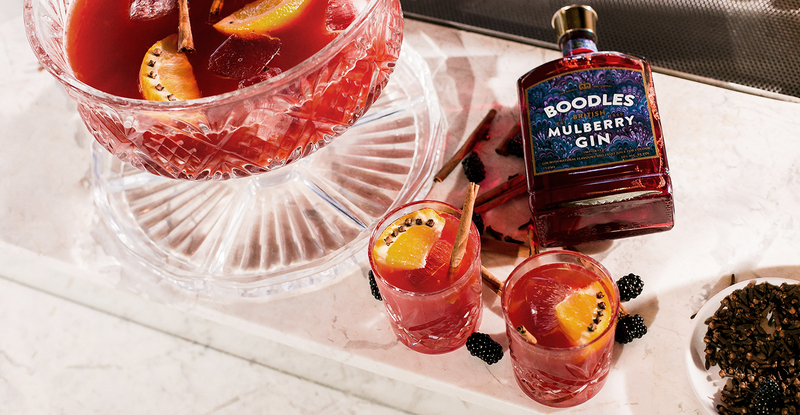 Combine ingredients in a punch bowl and serve warm or cold. 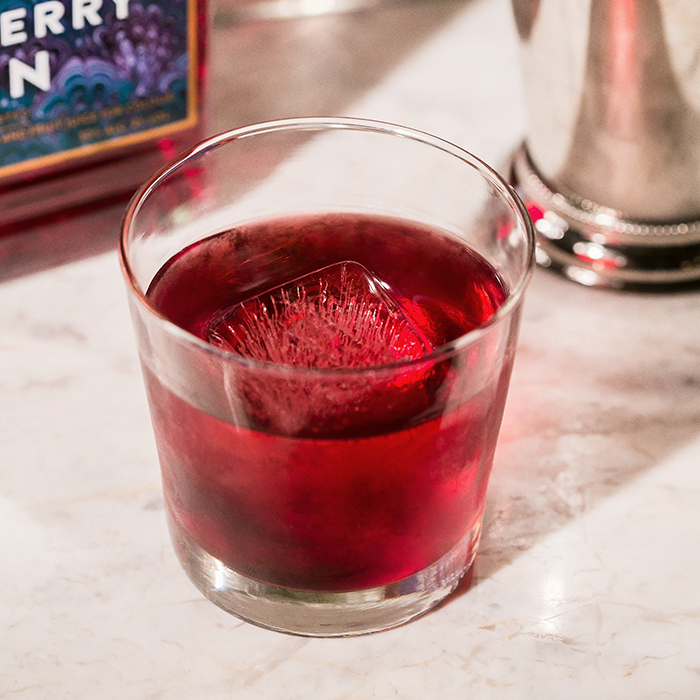 To serve chilled, add a large ice block in the punch bowl. To serve warm, heat up the apple cider before adding to the mixture. 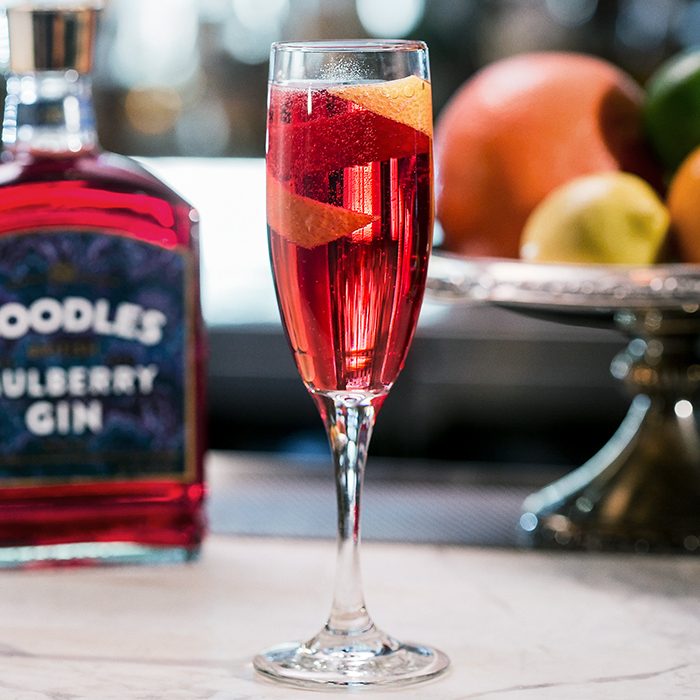 Combine ingredients in a champagne flute and garnish. 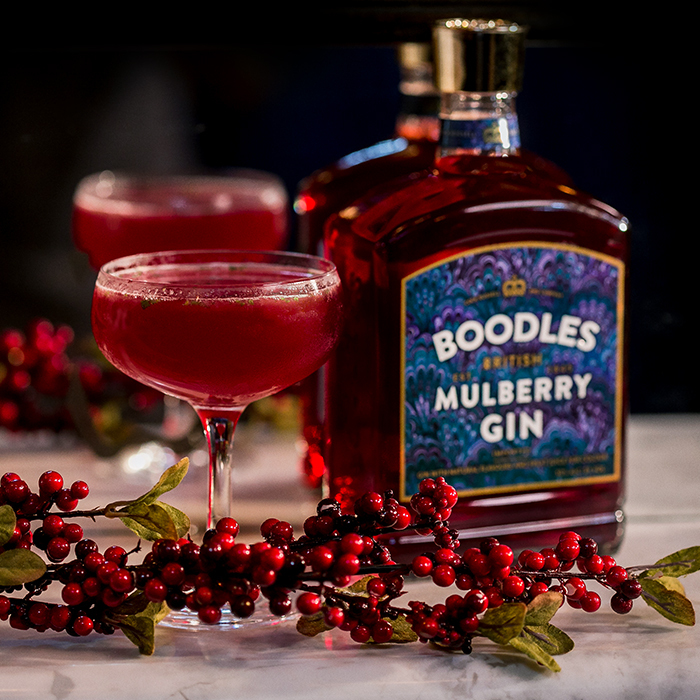 BOODLES® BRITISH GIN. 45.2% ALC/VOL. (90.4 PROOF). DISTILLED FROM GRAIN. ©2014 PROXIMO, JERSEY CITY, NJ. PLEASE BOODLE RESPONSIBLY.